A winner. The aroma of freshly polished leather gives way to sweet fruit flavors, mostly ripe apricots and peaches, and a touch of nutmeg. Positively delicious. Very good. Not great but very good. It's dry, which I like, and the heat dissipates quickly, which keeps it smooth. But, the flavor also disappears too soon, and it's not at all complex. Really tasty sipper. I love this rum straight up, but I imagine it would make high-end cocktails really shine. A solid top-shelf choice. Yum. Weak Caroni - disappointing. I absolutely agree with reviewer laurent...although this is a delicious rum from Trinidad's Caroni sugar factory, it's been watered down far too much. Tasty, but loaded with added sugar. Vanilla and toffee = sugar added to enhance the flavor. Hard to take this rum too seriously. Rating downgrade. Loaded with added sugar, so who knows what this rum really tastes like? Everyone mentions vanilla - that's all the extra sugar. Fake elegance. Rating downgrade. Loaded with added sugar, which completely masks this rum's true flavors. Big disappointment. Too much sugar. It's tasty rum but with 9 spoons of added sugar per liter (that's 7 per bottle), I cannot take this stuff seriously. Come on, El Dorado, cut the crap. Pleasant surprise Burnt butterscotch and spices. Not top shelf, perhaps, but a decent sipper and mixer. Dreary and bland. This stuff tastes like Diet Coke, and yet it's the most popular rum on the website. I don't get it. Not really. For just a few dollars more you can get the much better 5-star 8-year-old version. 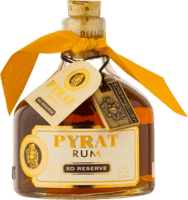 This 3-star rum is 4 years old, and has a very thin, grassy taste. Too much added sugar. A fine young rum, but it's been heavily sweetened with added sugar. Downgraded from 7 to 5. Another sugar bomb. Lots of added sugar makes it hard to take this rum too seriously. Another confection from the Plantation factory. n-u-t-m-e-g Wow. It's not often that you find a spiced rum that hasn't been sugared beyond reason. This one is definitely not too sweet. That's the good news. Not really. Too much added sugar makes this rum hard to take seriously. It lacks depth. It's entry level stuff. Loaded with sugar?? I'm suspicious of rums that are "sweet and smooth" like this one, because it inevitably means they've been doctored with a ton of sugar and additives. Who drinks this stuff? I can't imagine a universe where this stuff is useful, unless you're one of those people who drinks rum and Coke, in which case any booze will do. Hilarious! There are enough bad reviews about this rum already, but I'd like to point out that one person rated this stuff a TEN!!! Humans are doomed. It's still terrible. They've re-labeled it but haven't improved it. 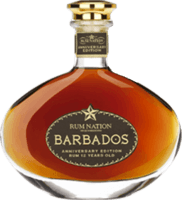 For the same money you can get authentic rums from Barbados which taste much better. Offensive. Bad bad bad. If you want real pineapple rum, try Plantation Stiggins' Fancy. Save this crap for the frat boys. This stuff will give you Diabetes. Best served on waffles. Sugary, oily, and overpoweringly vanilla-flavored. Plus, it feels creepily thin in the mouth. This stuff actually made me sad. Tastes like feline leukemia medicine. Just pouring it into a glass made me ill from the stench. Needless to say, the taste was abysmal. Like drinking the liquid from boiled pine cones. Warning: May contain rum. This is bulk crap alcohol with chemicals. It tastes like bad breath. It's okay if you like this, but what are you doing on a rum website? Children's cough syrup. This junk is for kids who want to get drunk without thinking about what they're really drinking. One of the worst examples of bad booze.